They say that happiness is looking in the mirror and liking what you see. So give your guests a useful favor that lets them know you surely like what you see with these delightful personalized mirror compacts. 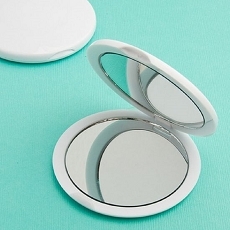 Sold only by Fashioncraft, each 2.5" round Personalized Expressions Collection mirror compact has a double sided glass mirror interior with a sturdy white poly resin outer compact case, hinged for opening/closing and perfectly fit for you to easily apply the personalized label of your choice. The personalized peel and stick labels are available in many hot colors, for occasions such as weddings, bridal and baby showers, Sweet 16s, anniversaries, graduations and more, or choose from fabulous themes like the seasons, fairy tales, love, butterflies, the beach, etc. Showcase your individual style by designing a label and making this favor a "just for you" memento of your special day. 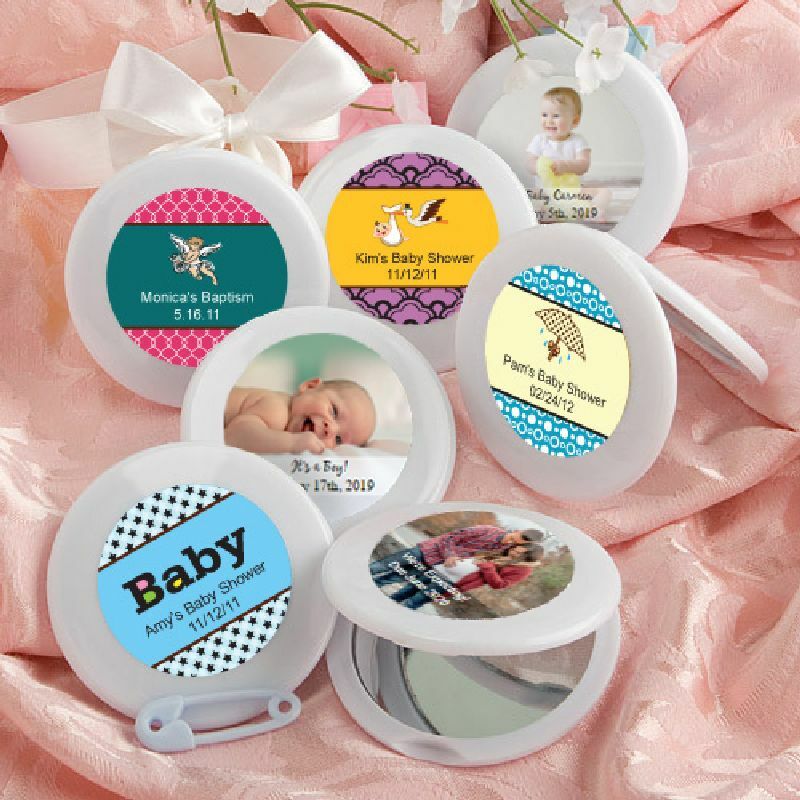 Sold bulk packaged in a plastic bag these compact mirror favors deserve a good long look! Please allow 3-4 days for processing.